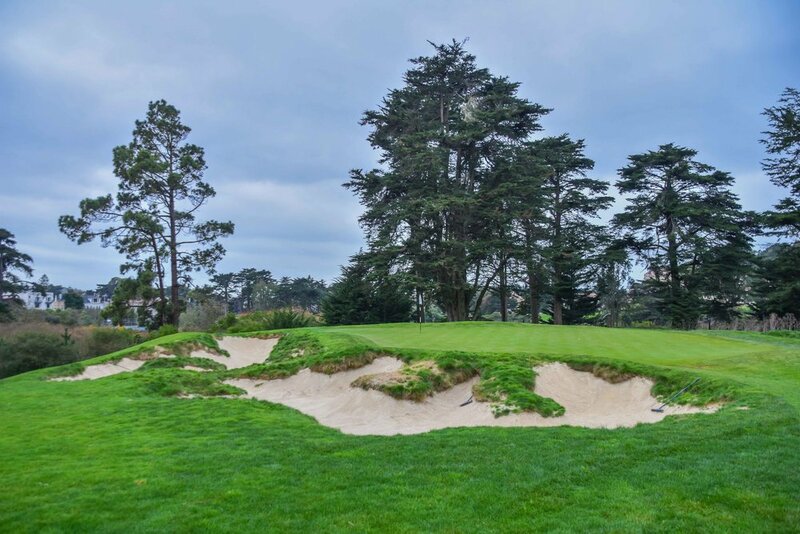 The Presidio Golf Club - San Francisco, CA — PJKoenig Golf Photography PJKoenig Golf Photography - Golf Photos For Those Who Love The Game. 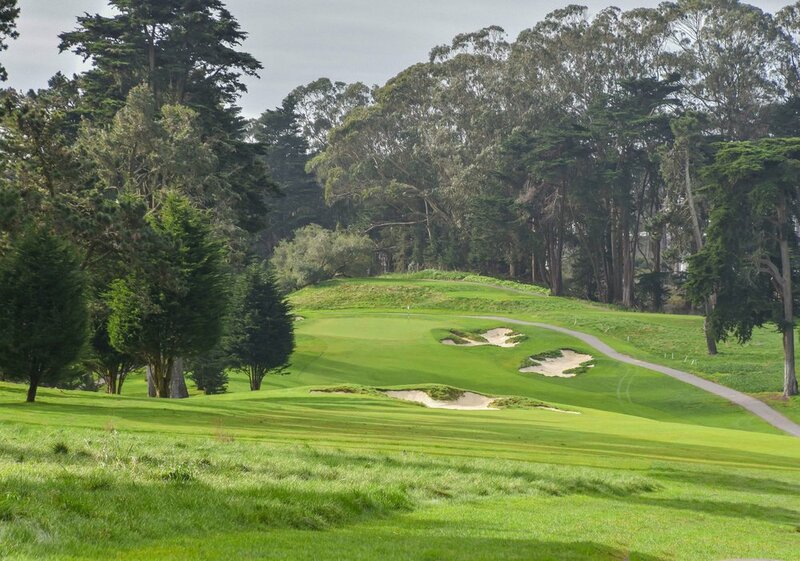 Having lived about a mile from the course for many years, I have played the Presidio many times. The course has played host to the Golf Bros Invitional, the Golf Bros Fall Classic, and the Golf Bros Battle Cup. All time MVP honors in these events goes to 3 time national Skeeball champion, Joey the Cat with John Kennelly taking honorable mention. 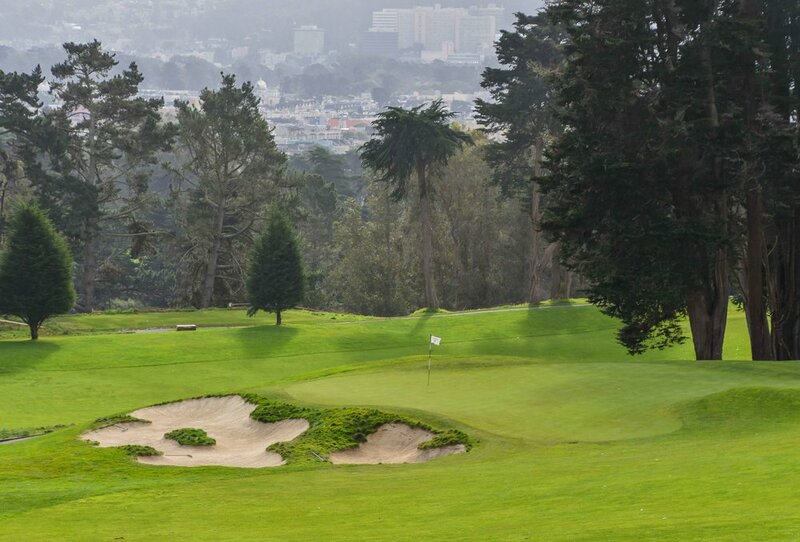 My fondest memory of the Presidio came during a twilight round after work. I was only expecting to get 13-14 holes in due to the available sunlight. However, when I found myself in the dark at 2 under par after 15 holes, I knew the round could not end. I was going to break 70 if I could see the ball or not. After making two nearly blind pars on 16 and 17, I stood on the 18th tee in complete darkness needing a birdie 4 to break 70. Since the 18th is a very short par 5, I had full confidence. After 3 decent shots, that took a while to find, I found myself with a 6 footer for 69. Barely being able to see the hole much less the break, I decided to go straight at it. The ball disappeared into the darkness of the cup and glory was all mine! !